The Basic Law of the Macao Special Administrative Region is formulated in accordance with the Constitution of the People's Republic of China, safeguarding state sovereignty and territorial integrity on the one hand and granting Macao a high degree of autonomy on the other hand. It is a manifestation of the guiding principle of One Country, Two Systems and the Central Government’s basic policies towards Macao. The formulation of the Basic Law is deeply rooted in history and of momentous practical significance. 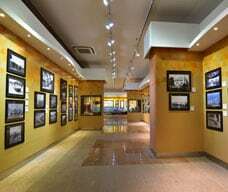 The Commemorative Gallery of the Macao Basic Law has shouldered the responsibilities to preserve the historical traces and ensures that future generations will be aware of this process and the underlying reasons. 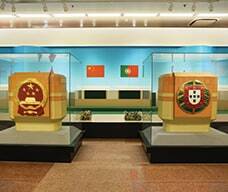 In the gallery, the following exhibition zones are set up: “Foreword”, “Retrospective History of Macao”, “The Guiding Principle of One Country, Two Systems”, “Formulation and Implementation of the Macao Basic Law”, “The Constitution of the People’s Republic of China and the Macao Basic Law”, “Success of the Macao Basic Law”, “Promotion of the Macao Basic Law” and “Interactive Education Zone”. 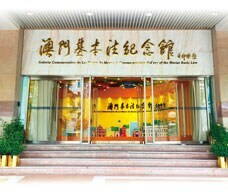 In addition, there is an archive which aims to provide valuable documents for the researchers or interested parties so that they can gain a better understanding of the relevant materials and the basic spirit of the Macao Basic Law, as well as how it has been implemented successfully in Macao.